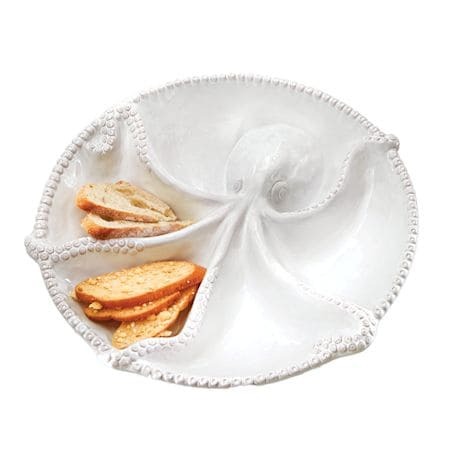 A stunning, ocean-themed platter for serving up crudité, bread, crackers, an assortment of dips, or anything delicious your party demands. 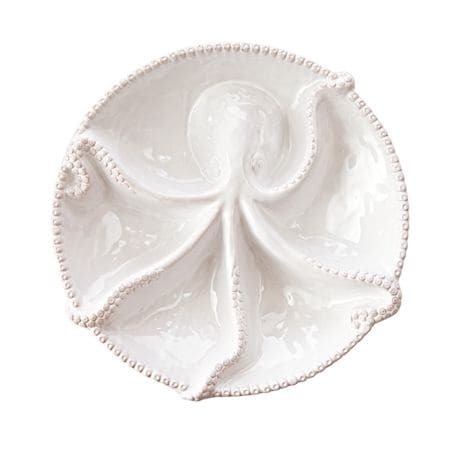 Five compartments are generously sized so you won't spend the whole evening refilling it; milk-glazed terracotta gives this denizen of the deep an heirloom-dinnerware feel. 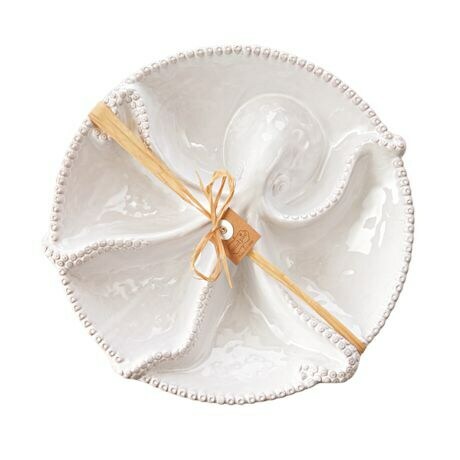 Hand wash. 12½" dia.